Arrange branches of fall leaves by hue to establish a color-blocking effect. 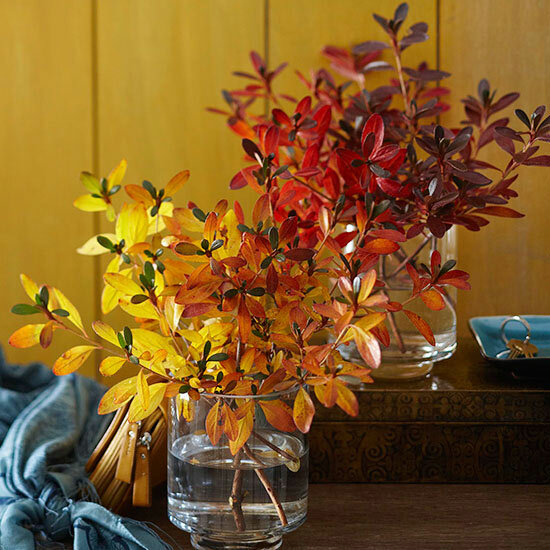 Place one color of leaves so they land on one side of the vase and another color so that they fall to the other side of the vase. 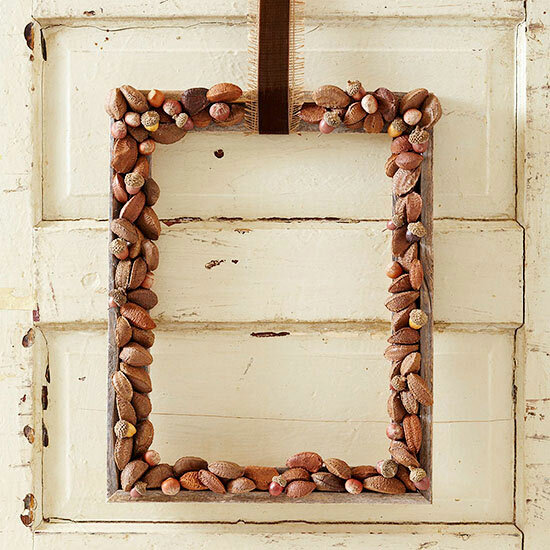 Bring a little sparkle to natural fall decor. Coat light-color pumpkins with iridescent spray paint, and while the paint is wet, sprinkle iridescent glitter over the pumpkin. Branch out from the standard round wreath and try a different shape on your front door. Hot-glue unshelled nuts to a picture frame, leaving a spot at the top for a ribbon. 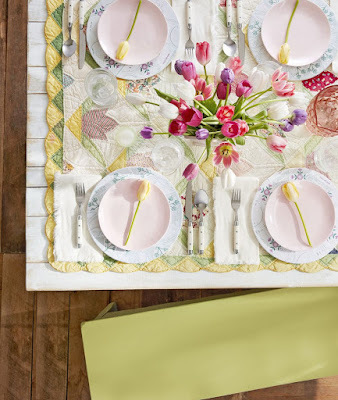 Wrap a coordinating ribbon around the top in a loop to create the wreath hanger. 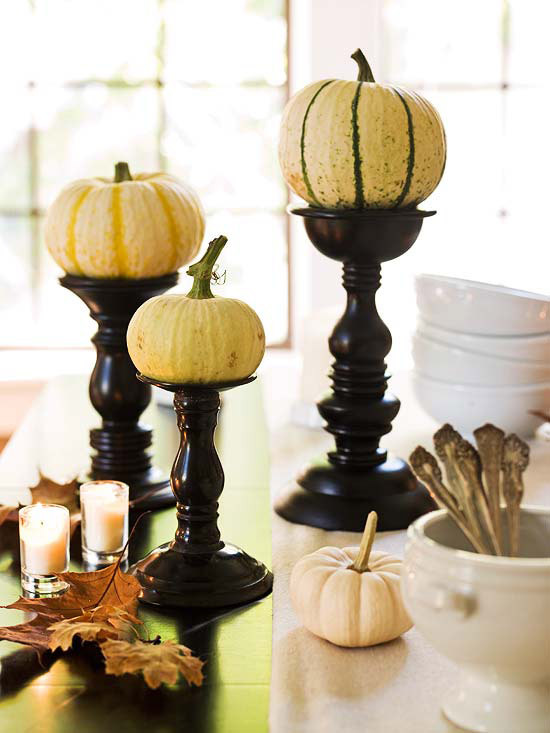 Repurpose a set of candleholders to display pumpkins and gourds. 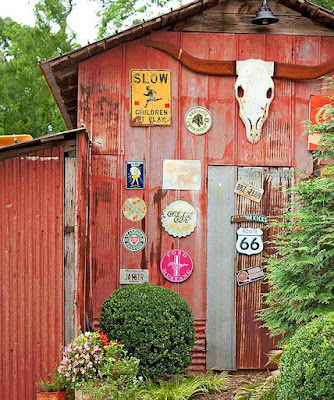 Find a mismatched set at a garage sale or antiques store and spray-paint them all black for a unified look. Use candleholders of varying heights for visual interest. 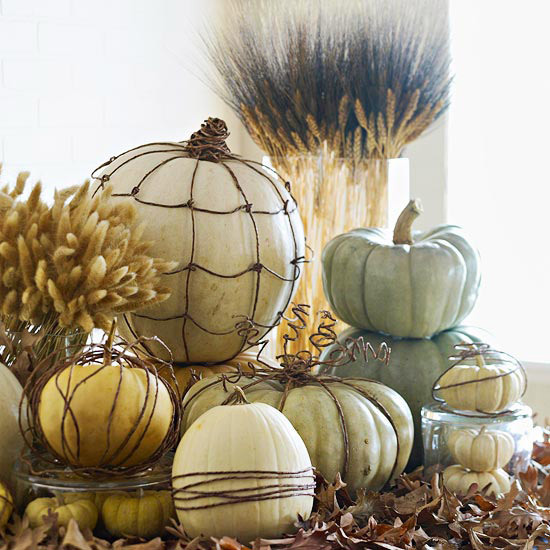 Layering and incorporating various elements are key to an eye-catching fall display. 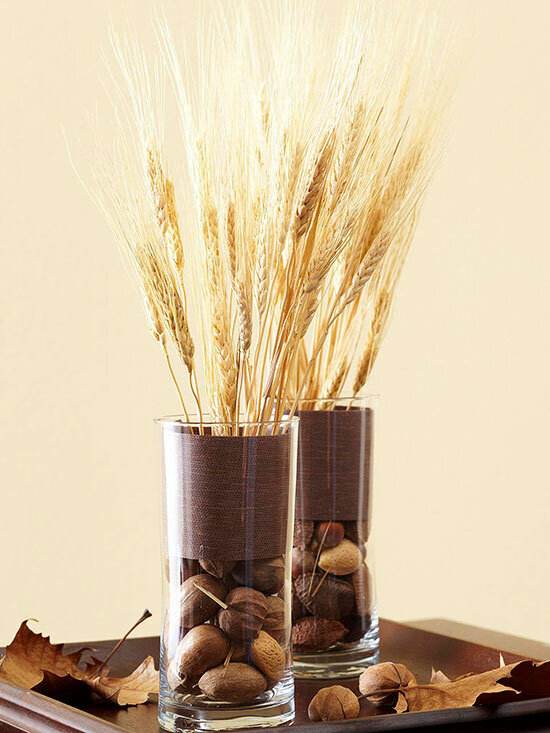 To create this look, fill vases partway with nuts. 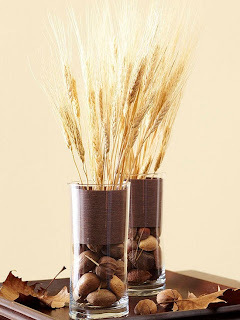 Cut a piece of scrapbook paper to fit inside the vase and arrange shocks of wheat or other branches in the vase. Dress up pumpkins with wire for a rustic fall look. Get creative and wrap wire around the outside of the pumpkin like a ribbon, fit it around the entire surface like a spiderweb, or twist it in curlicues sprouting out of the stem. 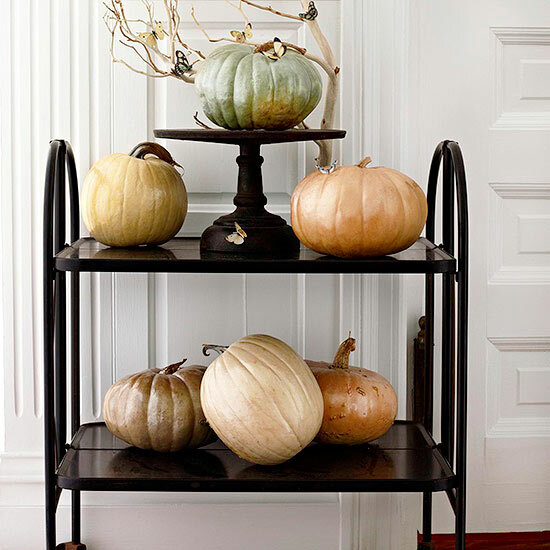 Look for pumpkins in colors other than orange for designs that last beyond Halloween. 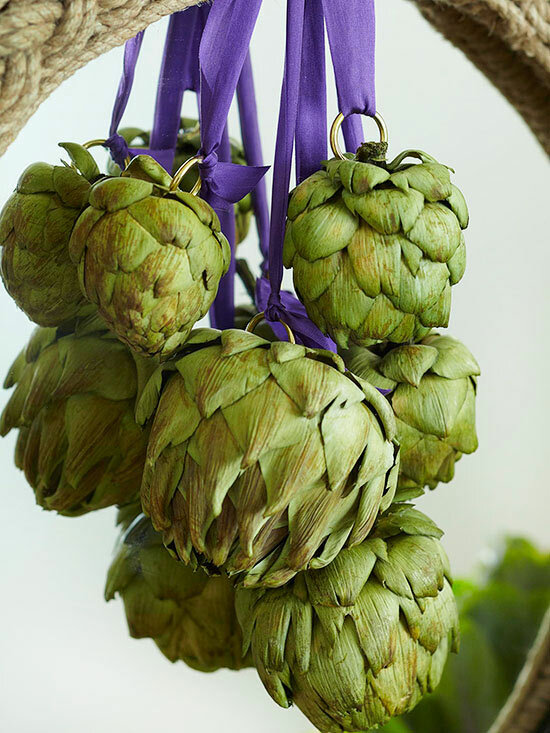 Create a pretty swag from artichokes to hang on a mirror or stairway banister. You will need florist's greening pins (they look like long U-shape staples and are available at floral shops). Drill two small holes the width of the pin straight down into the top of each artichoke. Thread a 1-inch brass ring on the pin, then insert the pin into the holes. Add a dab of hot glue around each hole to secure. 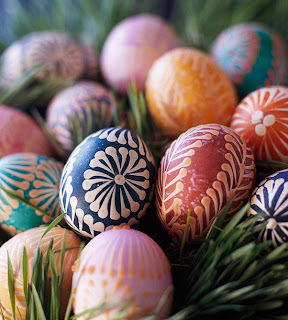 Thread ribbons through the rings, tie in a bow, and hang. 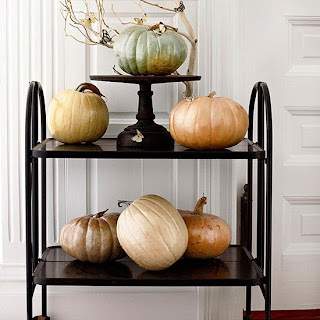 Get crafty with your extra pumpkins and embellish them with leaves for a colorful addition to your fall decorating. 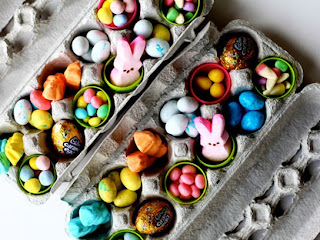 Or skip pumpkin carving altogether, and decorate your pumpkins with paper designs. 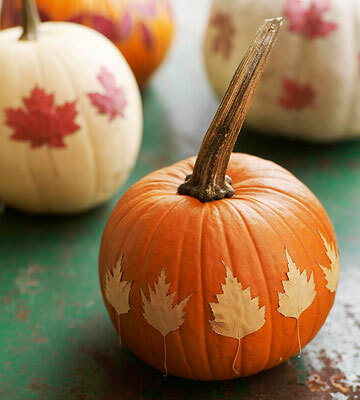 Cut out leaves using colored paper that complements the hue of your pumpkin. Use decoupage to attach the paper to the pumpkins.